It was a long wait for this project (30 years), but it is finally complete. 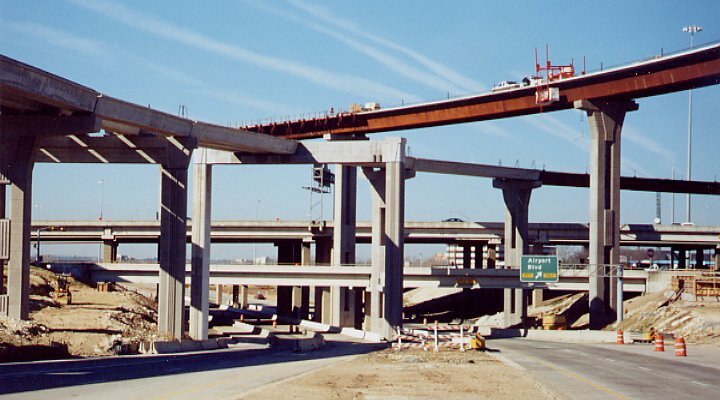 The final ramps were opened on November 8, 2001. To see a 1971 model of the original plans for this interchange, see the 2222/Koenig Lane cancelled freeway page. (high resolution 219k) This view looks eastward across the interchange from the new connector ramp connecting eastbound 2222 to southbound IH-35. Only minor work such as guardrail completion remains to be done. This photo looks west along the 290 westbound feeder, with IH-35 in the background. Photo contributed by Robert Miller. 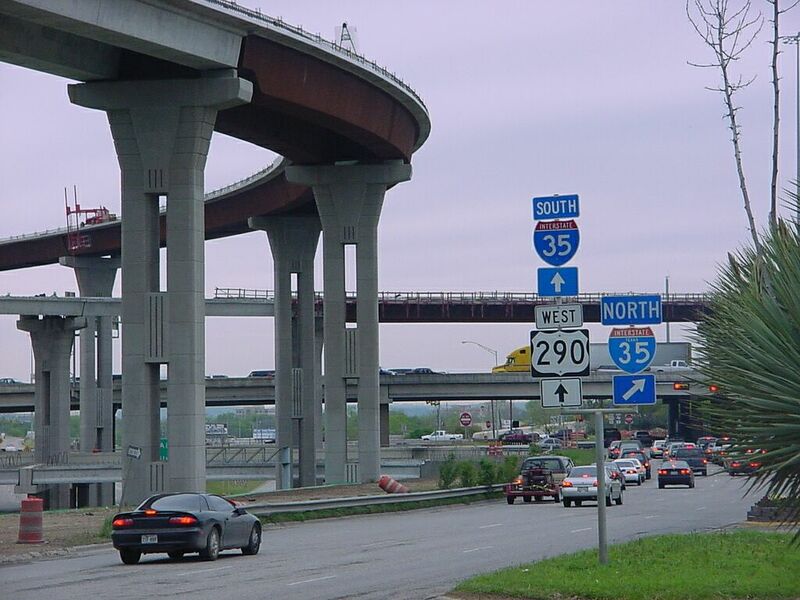 A wider view of the interchange. Photo contributed by Robert Miller. 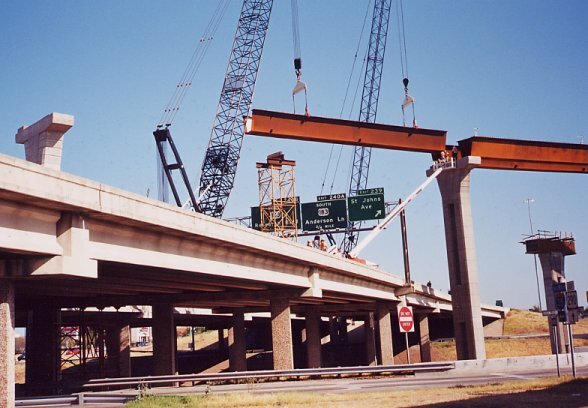 All the piers and beams are in place as of January 20, 2001. This photo was taken from the east side of IH-35, looking northwest. 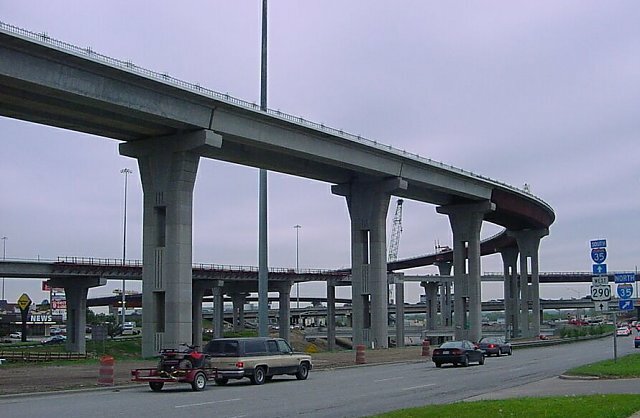 This view is taken from the US290 main lanes, looking west. 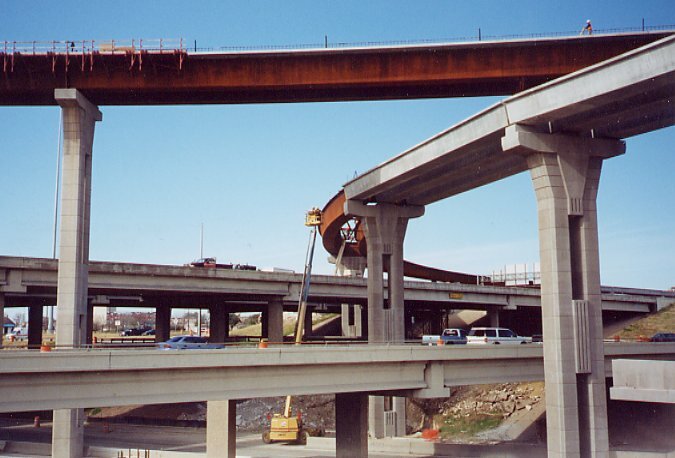 Photo taken August 2000, looking north along the northbound I-35 feeder. 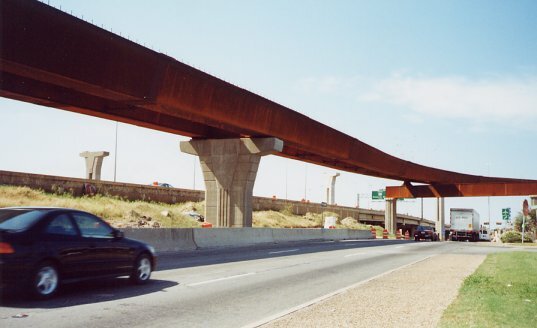 Placement of connector ramp steel beam over I-35 north. Photo taken August 26, 2000. Photo taken June 2000. 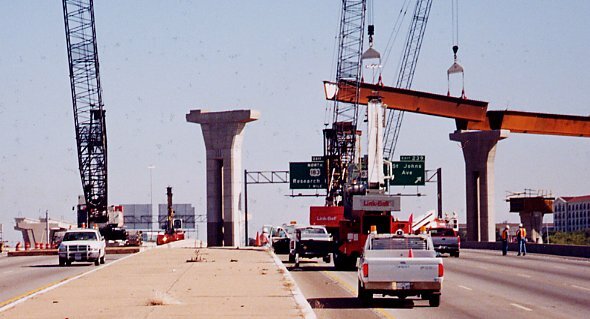 This is a view from 290, looking westward.